Damascus Stealth X Cold Weather Gloves w/GripSkin are one of the most preferred year-round search and duty gloves ever made. The overall hand flexibility from the neoprene, matched with extreme sensitivity of unique GripSkin digital print palms are the primary features behind this styles popularity. Whether shooting, searching a suspect, driving, etc., these gloves feel second-skin thin. This cold weather version features the warmth protection of Thinsulate linings and the waterproof abilities of HiPora liners. 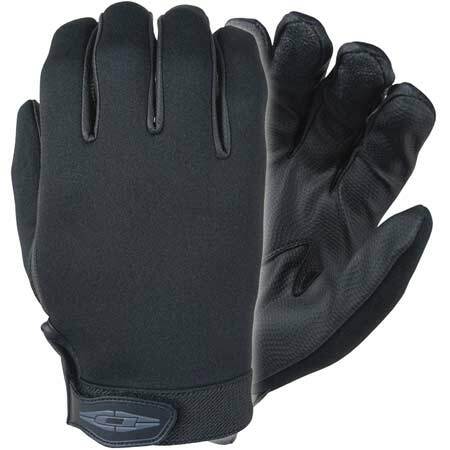 A perfect cold and wet weather friendly glove style.